Extracting precious metals, rare minerals and other valuable commodities on passing asteroids is a staple of science fiction, but Luxembourg says incentives are urgently needed to turn this dream into fact. "Comprehensive legislation" will be drawn up with the help of space law experts, the economy ministry said in a statement. Expected to take effect in 2017, it is billed as providing a legal framework that will spur investment in exploiting resources in Near Earth Objects (NEOs)—the scientific term for asteroids as well as comets. "(It) will guarantee operators the right to resources harvested in outer space in accordance with international law," the ministry said. "Space resources-dedicated licences will be issued under the new law, and government supervision of the activities of operators and regulating their rights and obligations will be ensured by Luxembourg in accordance with the Outer Space Treaty." Luxembourg already has a successful industry for satellite services as well as its highly lucrative banking sector. The proposed law aims at offering a more pro-business environment compared to legislation passed in the United States in 2015. Unlike the US, Luxembourg law on asteroid mining will extend not only to local companies but also to foreign corporations which are established in the duchy. The law will only be at national level, but Luxembourg intends at the same time to promote a legal regulatory framework internationally, Prime Minister Xavier Bettel was quoted as saying. The government announced a funding incentive of 200 million euros ($226 million) to encourage research and development in asteroid mining. Two US companies have already established "legal entities" in Luxembourg, the ministry said. They are Deep Space Industries, which is working on a concept of a future spacecraft for asteroid mining, and Planetary Resources, a startup co-financed by Google pioneer Larry Page, which is keen on developing exploration satellites. Asteroids are primeval rubble left from the building of the Solar System some four billion years ago. The main asteroid belt lies very far from Earth, between Mars and Jupiter. However, many asteroids are bumped out of the belt, and some of these veer close to Earth in their orbit around the Sun. These so-called NEOs would thus the target for mining ships that—theoretically—would land on the asteroid, extract raw material and maybe even process it. 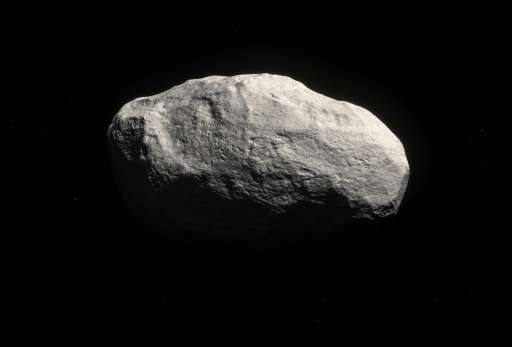 So-called Type C asteroids have drawn the most interest, as they are believed to have a high content of water, carbon, sulphur, nitrogen, phosphorus and ferrous metals. The mining is likely to be carried out by robots rather than humans, given the high risks and costs of manned space missions. However, asteroids could also be a stepping stone for planetary exploration, some hope. Manned spaceships would land there to refuel and stock up on water, according to this vision. This is an area of law that needs a lot of work. Particularly since there will be no actual people on-site to assert domain. I could see corps building their own enforcement power (military) to keep control of their claims. For sure neither Luxembourg nor the US is going to put police up there to keep the peace. Legislate with idiots is input into a disaster. The first should provide answers to the Law on attracting (growth) matter. If growth means an increase in temperature (it is obvious to many except for interest groups), with mining themselves and the whole civilization diggin the grave. The first answer, later laws. or should i say global acceptance? I For sure neither Luxembourg nor the US is going to put police up there to keep the peace. ...until the day someone turns a profit, at which point the only question will be which nation state confiscates it first and the original investors are screwed. That is why we need rules in advance; without them nobody is going to risk a major investment in space.